Two small aircraft have collided midair over the city of McKinney, Texas, before crashing down into a parking lot amid a populated area. Police say there are at least three casualties as terrifying videos from witnesses are coming from the scene. McKinney police said on its Twitter account that at least three people died as a result of the crash. PD is assisting with plane crash in our city. Confirm 2 planes crashed and at least 3 fatalities. Further details will come from FAA/NTSB. Earlier, the police department tweeted that it was working at the scene of a “fatal plane crash on Custer Rd,” asking people to avoid the area. “Custer [Rd] from Virginia to Bedford will be shut down for an undetermined amount of time,” the department tweeted. Meanwhile, several videos filmed moments after the crash appeared on Twitter and YouTube, showing black billowing smoke, fire and aircraft debris. One of the planes crashed into a storage facility while the second one hit the main road. The incident happened near a small local Aero Country airport, which has no traffic controllers. 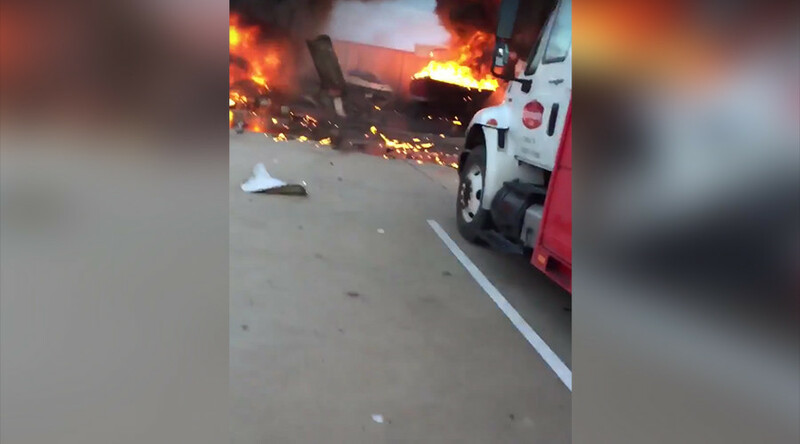 "I was just watching the Cessna fly and another plane came out of nowhere and hit the Cessna," Alex Coats, who witnessed the crash, was quoted as saying by the Dallas News. "It was so unbelievable to see these two planes fall out of the air," another eyewitness told the media outlet. The town’s mayor, Brian Loughmiller, said in a statement that the community was “devastated” by the incident.